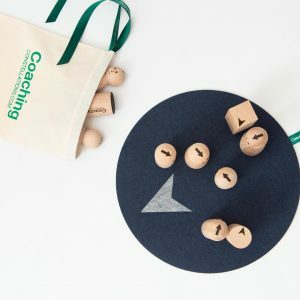 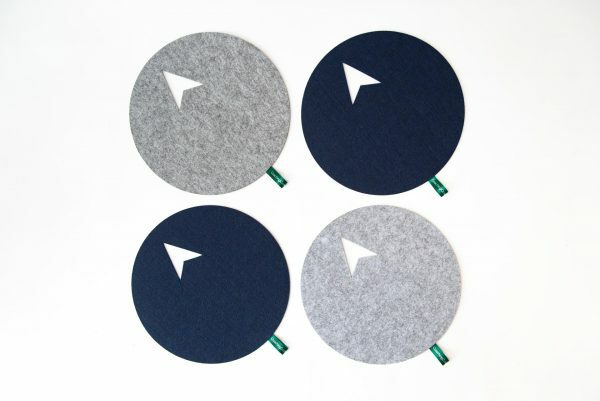 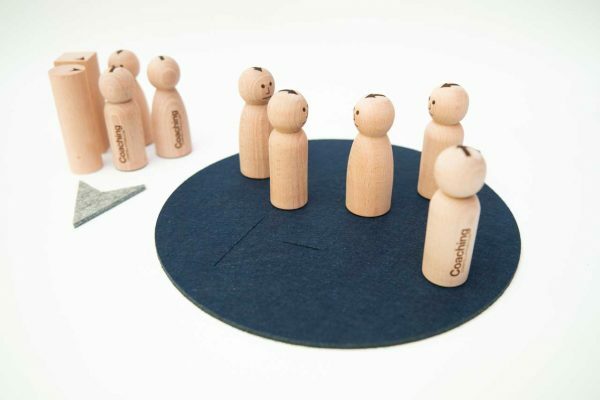 These unique directional mats can be used as ‘floor markers’ for mapping with clients and for defining the system boundary for tabletop work in a number of different ways. 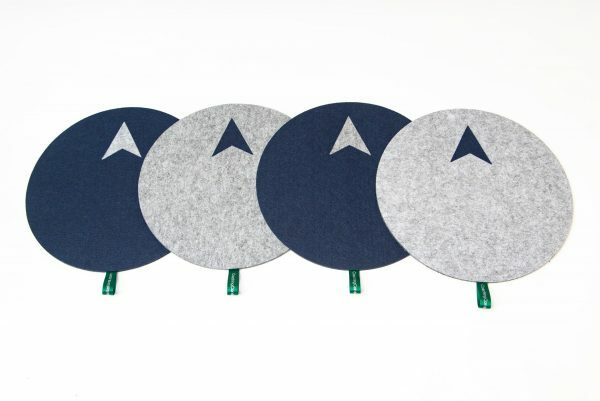 Each set includes four mats: two in grey and two in blue. 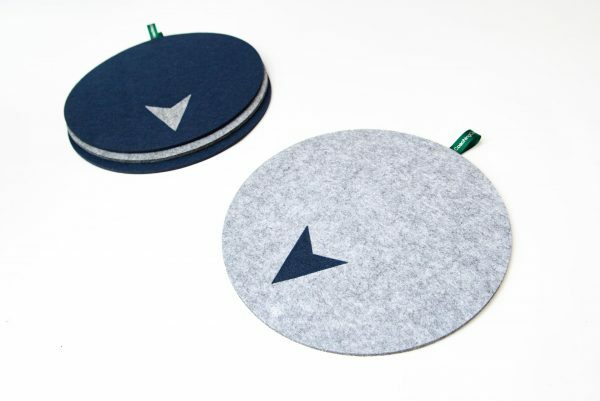 Each mat comes with a ribbon loop so that it can be carried with ease. 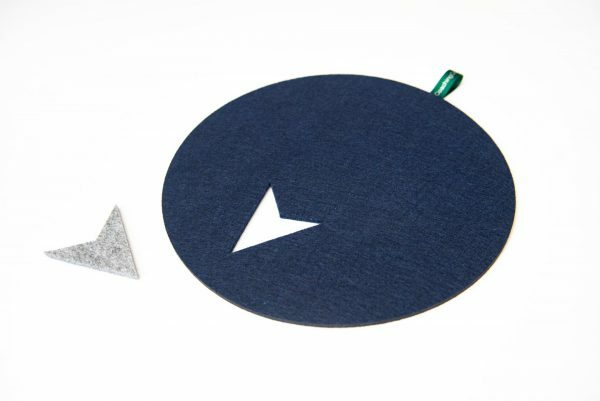 Each mat has a removable arrowhead that can be used in a number of different ways. 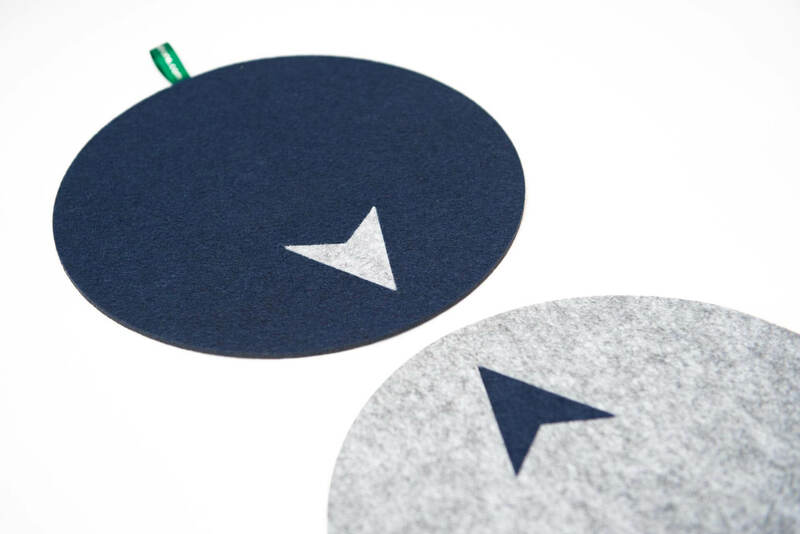 The arrowheads can be swapped to create emphasis (blue arrowhead in a grey mat for example), removed to reveal the striking cut-out, or retained to create a complete one-colour disc. 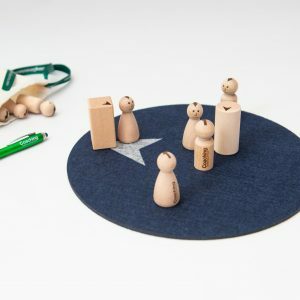 In any configuration or combination these work very well as directional or non-directional and as floor markers or tabletop system boundaries. 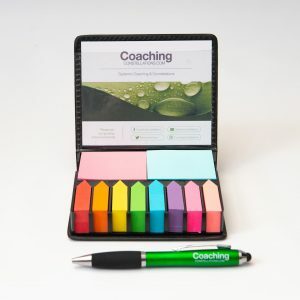 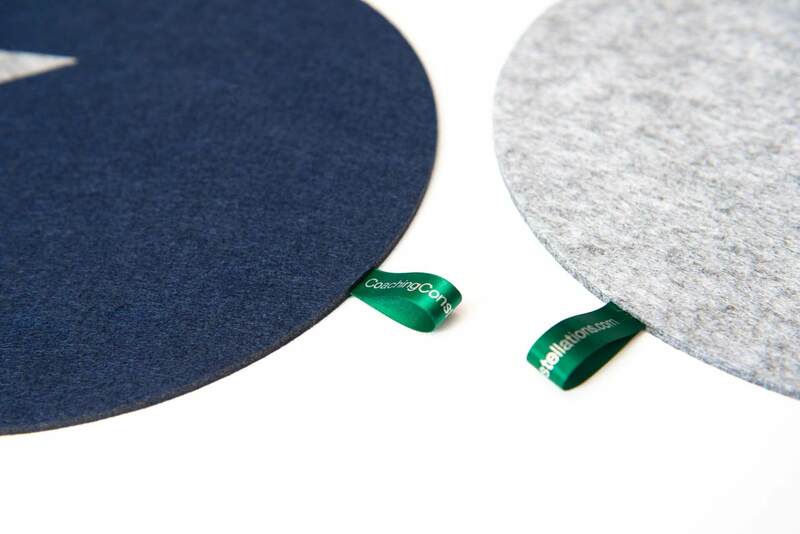 These mats are only sold in sets of four (two blue, two grey) and are packed in a slim box.